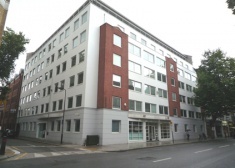 The building was newly constructed in 2011 and there are 2 self-contained office suites available from March 2015. 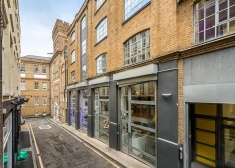 A contemporary, media style office building arranged over four floors currently accessed via a quaint courtyard in the heart of Shoreditch. 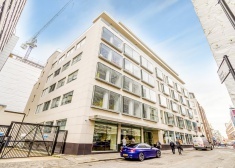 The current occupiers are able to offer additional amenities in relation to reception services, cabling and telephony. 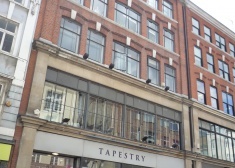 The office is located on the fourth floor of this prominent corner building. 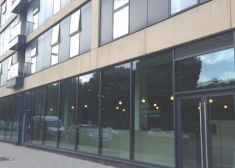 This self-contained office, benefits from its own front door providing excellent branding opportunities. 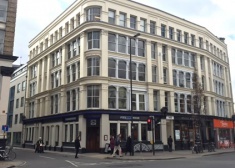 These two floors are currently being refurbished and will be ready for occupation in March 2016. 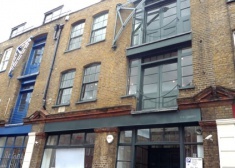 This soon to be refurbished accommodation is arranged over the 1st and 2nd floors and will be available in March 2016. 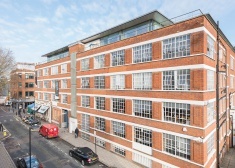 Exmouth House incorporates sophisticated office space to let in what is a prime Clerkenwell location. 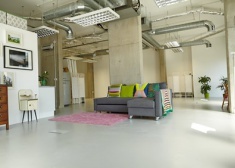 The accommodation is part of a shared office with a branding agency, providing a creative working environment. 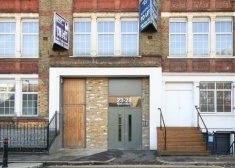 This self-contained office, benefits from its own front door and street frontage on Banner Street, providing excellent branding opportunities. 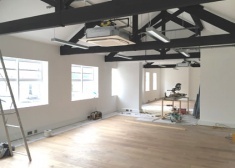 The second floor office will be delivered in refurbished, open plan layout ready for occupation from January 2016. 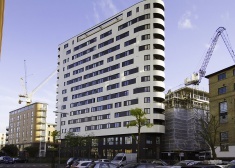 Kinetica is a mixed use building which was completed in 2010. 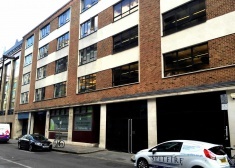 The building has been stylishly rebranded externally providing a prominent office building in the trendy Whitechapel area. 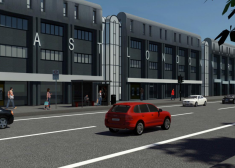 The building was newly constructed in 2011 and the available floor will be delivered in an open plan layout. 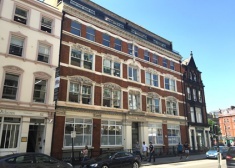 This self-contained building is located on the vibrant Hoxton Square, the offices have recently been occupied, however, they do require modernisation. 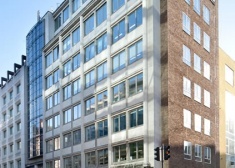 The offices are located on the second and fourth floors of this centrally located office building, in the heart of Tech City. 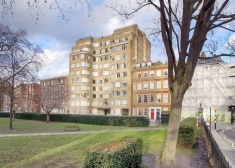 Florin Court is an Art Deco building on the eastern side of Charterhouse Square, in Clerkenwell. 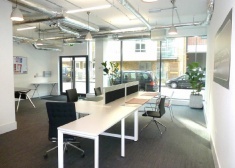 Offices are available together or separately. 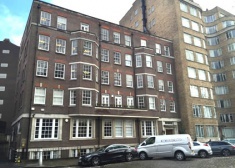 The office is located on the sixth floor and has excellent views of Lincoln's Inn fields. 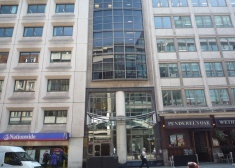 The office would suit a variety of occupiers such as lawyers, finance companies and professional firms. 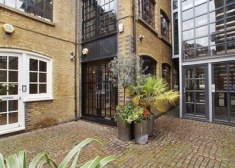 The offices are located on the ground floor and first floors of this converted Victorian warehouse building in Shoreditch. 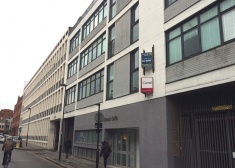 Worship Street is strategically situated just north of Broadgate, Finsbury Square and The City of London and just south of vibrant Shoreditch. 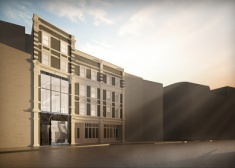 Complemented by dynamic architectural features like spiral staircases and massive skylights, Space Shoreditch will anchor an impressive II storey building. 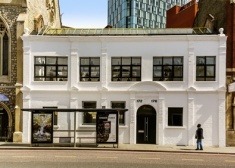 The area has been coined Silicon Roundabout and has rapidly become internationally recognised as the center for creative, tech and media companies. 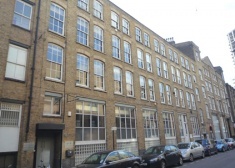 This former wool warehouse was built in the late 1880's for Browne & Eagle and to this date, the building benefits from retaining many of the original warehouse features. 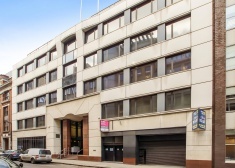 A contemporary, refurbished office building arranged over four floors, with designated bike storage at lower ground floor, lobby/reception area at ground floor and four upper floors of refurbished office accommodation. 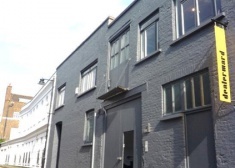 This charming building has been subject to a comprehensive, architecturally designed refurbishment program. 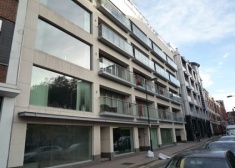 The available accommodation is located on the third floor of this modern building and will be newly refurbished. 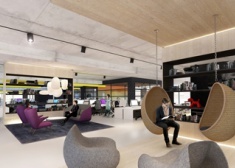 The office would suit a variety of occupiers such as designers, technology or media companies. 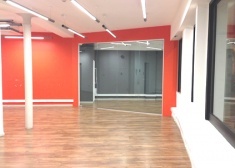 The floors are ready for immediate occupation and are delivered in an open plan format. 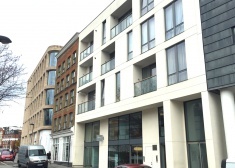 The office is situated in a brand new mixed use scheme and has been architecturally designed to provide stunning split level office space. 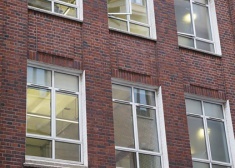 Turnpoint is a contemporary self-contained office building arranged over six floors, providing approximately 10,000 sq ft of high specification office accommodation. 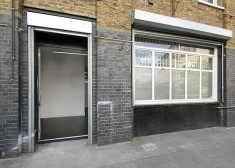 A self-contained office suite located in this charming creative hub in the heart of Shoreditch. 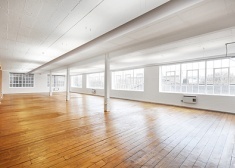 Refurbished office space provided in a former warehouse building. 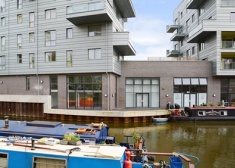 Set on the banks of the River Lea, Matchmakers Wharf has benefited from the economic effects of London 2012 Olympic Games. 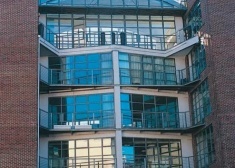 The accommodation is arranged over the entire ground floor and part lower ground floor and offers open plan space together with reception, three meeting rooms and a kitchen. 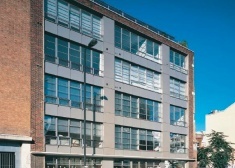 This lower ground office suite, located within a former Victorian warehouse building, offers an original and unique feel that is ideal for any tech, media or creative company. 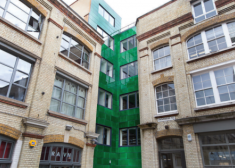 The offices are in the heart of the creative quarter, and would suit a variety of occupiers such as media, technology or design companies. 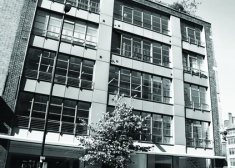 The offices are located on the lower ground floor within the headquarters of the Contemporary Arts Society. 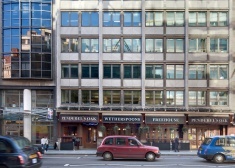 The building is situated on the northern side of Featherstone Street, close to the junction with Bunhill Row. 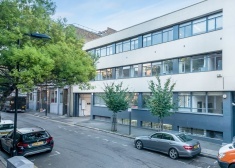 12-16 Clerkenwell Road is prominently situated in a prime location, ideally positioned on the north side of Clerkenwell Road on its junction with Old Street. 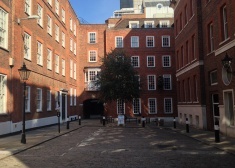 Charterhouse Square is a historic square located near Smithfield Market located between Farringdon and Barbican stations. You are spoilt for choice with a fantastic range of hotels, bars and restaurants within the immediate vicinity. 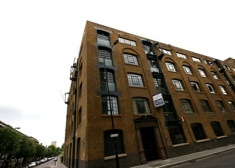 The building is situated just off Clerkenwell Close opposite the site of the former Clerkenwell House of Detention, one of the earliest prisons in London. 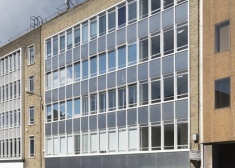 This modern building is currently undergoing a comprehensive refurbishment program that will deliver a floor of open plan office space at second floor level. 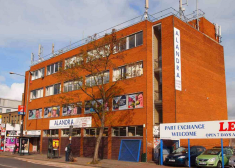 This modern building is currently undergoing a comprehensive refurbishment program that will deliver two self-contained showrooms at ground and lower ground floor level and two floors of open plan office space at first and second floor level. 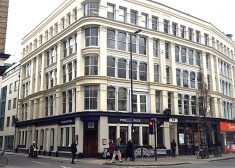 The building is located on the south side of High Holborn opposite Mid City Place and equidistant between Holborn & Chancery Lane Stations. 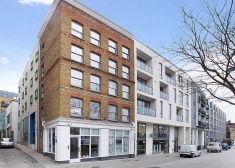 The property is situated just before the junction of East Road, approximately 200 metres from City Road and Old Street roundabout. 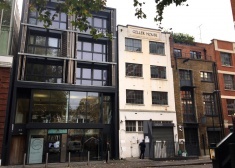 Exmouth House incorporates sophisticated office/studio space to let in what is a prime Clerkenwell location. 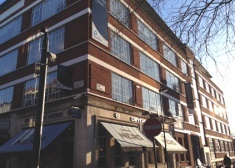 Charterhouse Buildings is prominently located on the corner of Clerkenwell Road and Goswell Road. 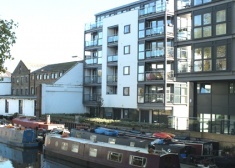 Angel Wharf is situated on the corner of Shepherdess Walk and Eagle Wharf Road, overlooking the Regents Canal. 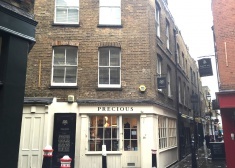 Located between Angel and Old Street Stations and next to the Holborn Studios.